But would you do that for me, too? I play Dm, G7, C, and C7 which i find fits a lot better. hhhh this is such a good song but does anyone have a good suggestion for strumming patterns? Clairo is the stage name for singer-songwriter Claire Cottrill, whose song "Pretty Girl" went viral in late 2017 on YouTube. 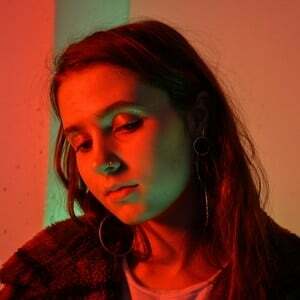 A 19 year-old, Clairo has opened a show for rapper Tyler, the Creator and had her music featured on The Le Sigh, a blog for female and nonbinary rising musicians. A freshman at Syracuse University, Clairo plans to abandon her lo-fi bedroom pop phase and become a full-fledged pop musician with the aid of Danny L. Harle in 2018, when she plans to release a new EP.